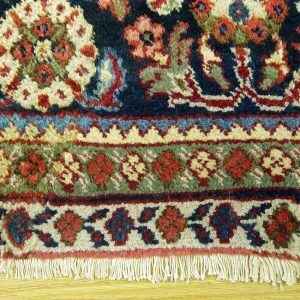 Many of the rugs which The Rug and Carpet Studio treats are functional objects which need to be restored to continue their use as floor based textiles. 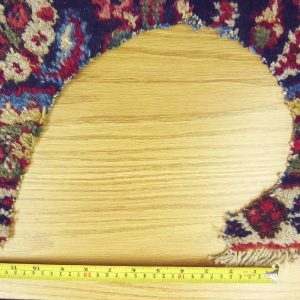 The Studio carries out the restoration of minor splits and wear, through to extensive re-weaving of large holes. 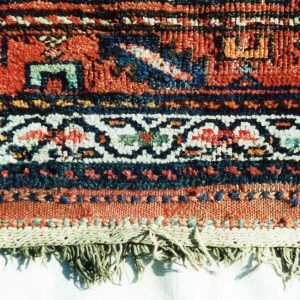 Thorough research is carried out into the various techniques used to ensure minimum intervention with the structure of the carpet, and to retain as much of the original textile as possible. A vast stock of threads and fabrics ensure precise fibre, texture and colour matching to the original materials. 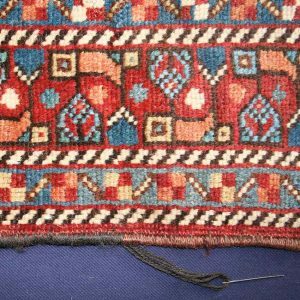 The conservator-restorers are highly trained and skilled in all aspects of rug and carpet restoration, both in the understanding of the weaving and in the finishing of the restored area. 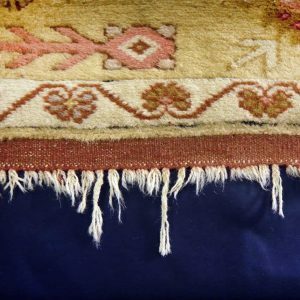 The Studio treats all handmade piled and flat weave Oriental and European rugs and carpets, French Aubussons and Axminster carpets, ranging from small mats to expansive floor coverings. 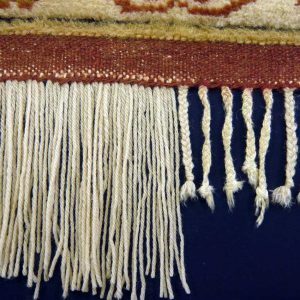 All of the restoration work is carried out by hand at the Studio in Long Melford. 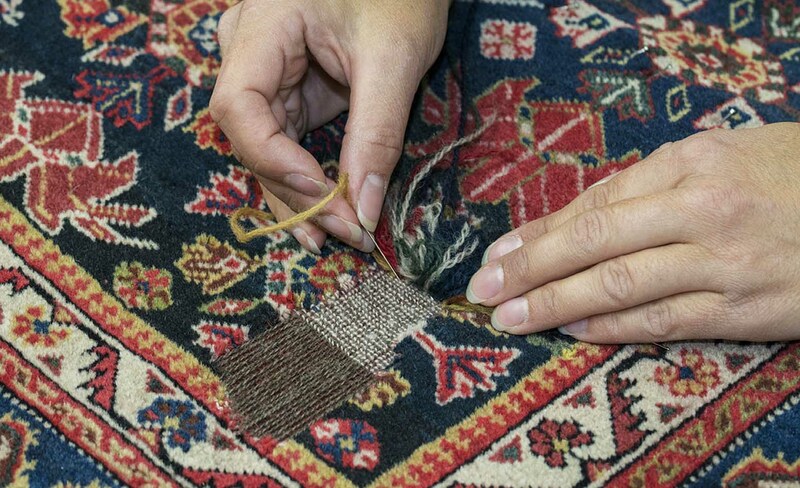 Each rug and carpet is examined to assess the level of restoration required; giving consideration to the value, age, condition and the level of wear the rug is likely to receive in the future. Further advice on underlay and aftercare treatment is also provided. 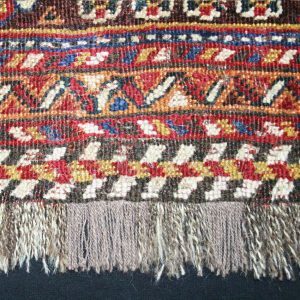 The Rug and Carpet Studio has an international client base, arranging on-site assessments and courier services as required. General advice and preliminary estimates can often be provided from emailed photographs. 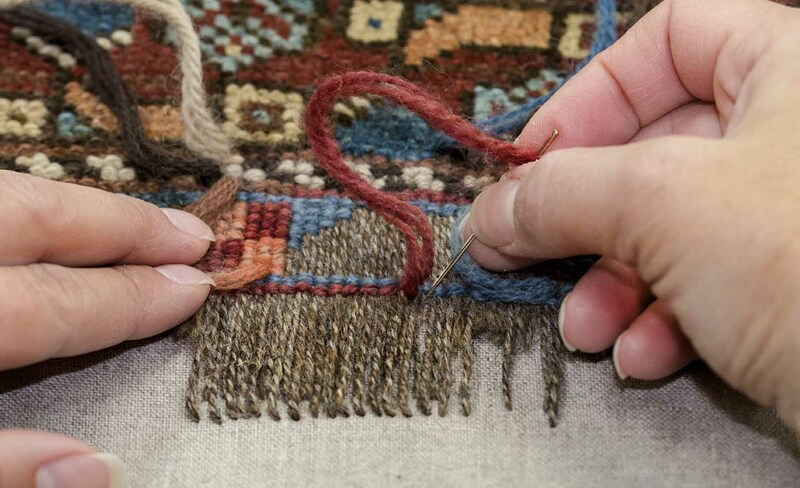 The restorers adhere to continuous professional development guidelines from organisations such as The Institute of Conservation and The British Antique Furniture Restorers Association. 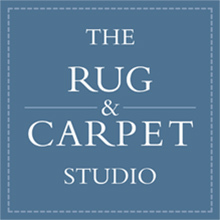 The Rug and Carpet Studio retains its reputation for high standards of practice with progressive thinking. 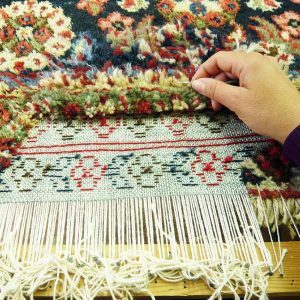 We keep up to date with the latest techniques accepted within the profession to ensure we are doing our utmost to preserve rugs and carpets. 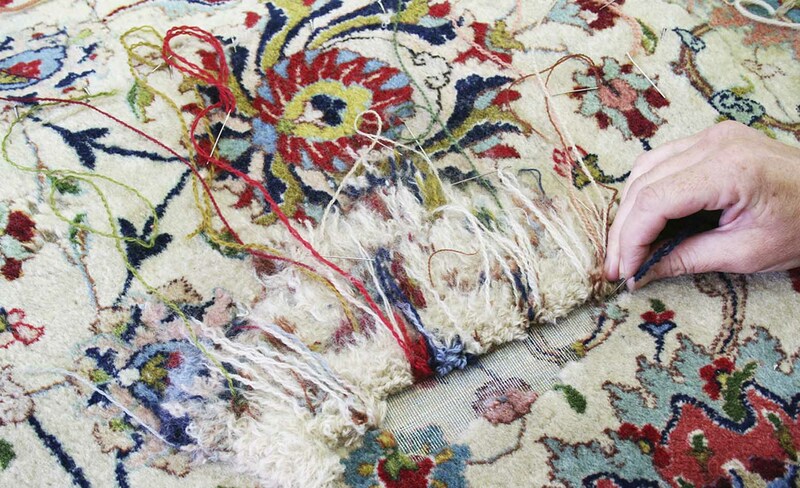 We carry out research in order to develop new approaches in carpet conservation. We write articles and present lectures to share new methodology. 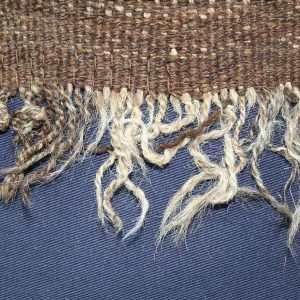 Ends – Stabilising ends where fraying to prevent pile loss, and re-weaving sections of damaged fringe. Sides – Re-binding the side cord where the original binding has been lost to cover and protect the foundation threads. Holes – Re-weaving holes caused by general wear, animals, insects and fire amongst other causes by replacing the damaged internal foundation threads, and re-knotting the missing pile. 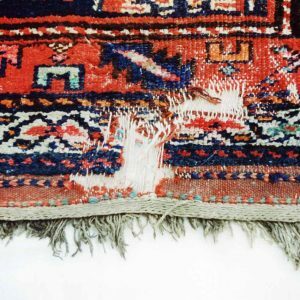 Splits – Realigning splits and tears by securing thread internally to recreate the foundations of the rug, or by securing onto conservation support fabric placed underneath the rug. 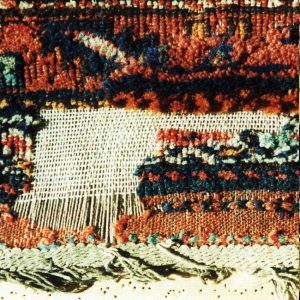 Stretched areas – Flattening stretched areas by stitching internally alongside the foundation threads to condense the weave. Curling sides – Flattening curling sides and corners to prevent irregular wear. 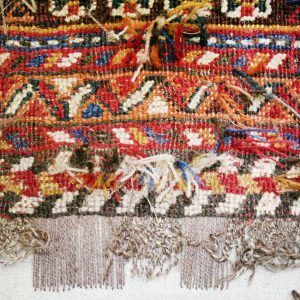 Worn pile – Repairing areas of worn pile by re-knotting, or fake knotting/embroidering where the surrounding pile is low to help blend in with the overall condition. 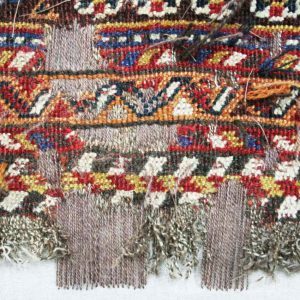 Supportive backing – Where necessary or recommended, rather than re-weaving areas of pile loss, holes and splits can be stitched onto conservation support fabric to prevent further deterioration. 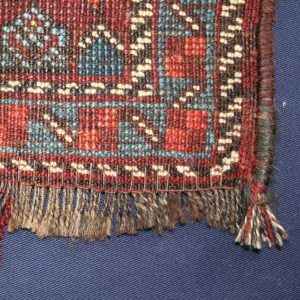 The visible fabric can be in-filled by either re-piling, fake knotting or dyeing. Wall Display –Hanging tubes or a Velcro support can be secured along the edge of a rug for display purposes. 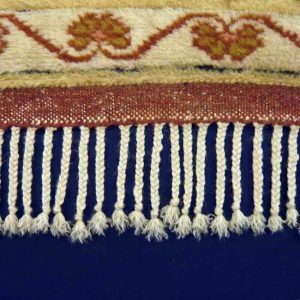 Linings – Full linings can be attached to the reverse of textiles such as French Aubussons.